When it comes time to apply for a job, you need a top-notch resume that will get those hiring to notice you. The talent pool is often wide and deep, so submitting a resume that makes you stand out among all the other applicants is a great way to improve your odds of landing your dream job. 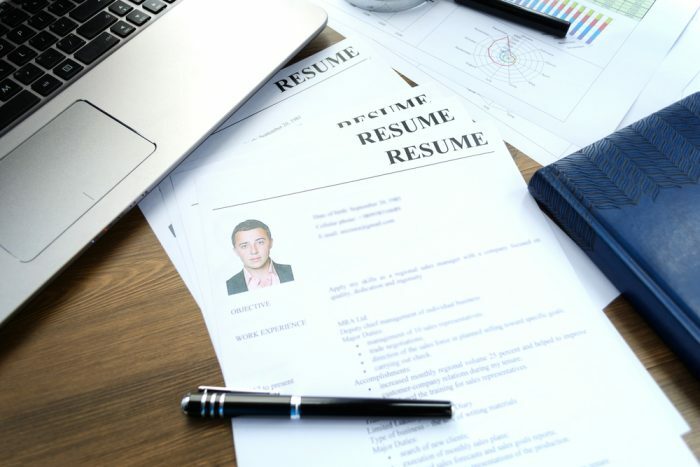 In this article, we’ll give you all the tips, tricks, tools, and teeth you’ll need to make your resume have bite. By the time you’re finished, you’ll know just how to write a great resume. What is a resume? A resume represents your professional abilities. In it you’ll list your workplace skills, experience, and qualifications. The resume should be precise, specific, and lean. It’s a quick reference for those doing the hiring so that they can easily scan it to see if your background matches the requirements they are seeking. Difference between a Resume and CV? Yes, there is a difference between a resume and a CV. CV stands for curriculum vitae and it is typically a lengthier document that focuses more on your accomplishments both in work and education. CV’s are broader in scope whereas resumes tend to be tailored for a particular job. CV’s are more detailed overall and allow you to expand on the items listed in your resume. In other words, a CV complements the resume’s terseness with breadth and depth. It’s always good to have a CV on hand in case one’s requested. It’s also always good to type up a cover letter to send along with your resume when you apply for a particular job. 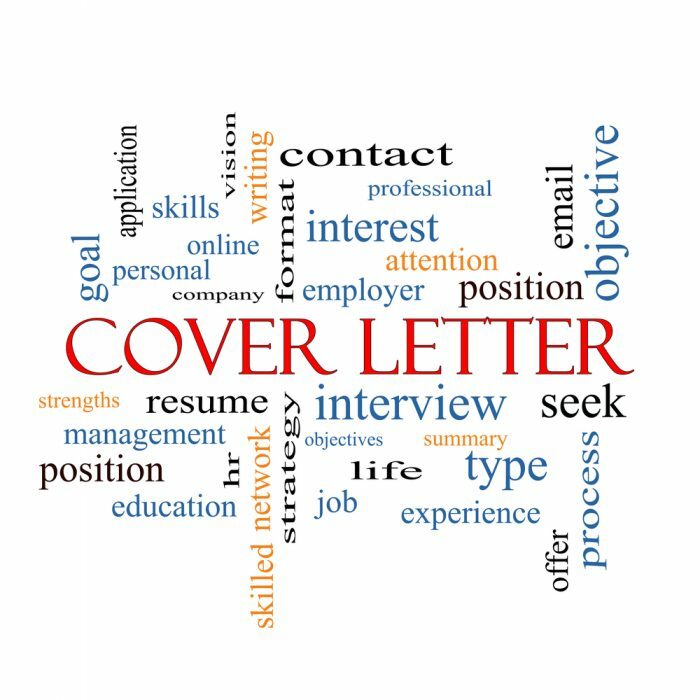 The cover letter is a short introduction that allows you to state your intentions, briefly identify your accomplishments, and show the organization that you are serious, professional, and motivated. This is no place to be shy. Instead, it’s the time to make known specific points about your experiences, education, skills and training that are going to be most relevant to the organization where you’re applying. Format the cover letter just like you’d format a conversation. Supply a greeting, state your name, tell a bit about yourself (background, work history), what you can do for the organization (for example, can you do back-end coding using Java?—then say so! ), and say goodbye. Like the resume, the letter should be tailored to the organization to which you are applying. Make sure your contact info is listed at the top of the page—including name, home address, phone and email. If you have a website or profile page on LinkedIn, you can include that as well. Tip #1: Try to make the greeting personal: find out the name of the manager of the department in which the job is located using LinkedIn or the organization’s website. You can address the manager by his or her first name. Make the letter relevant. The CV can be generic. But the cover letter should show that it is written specifically with the organization and its needs in mind. Think of how you can satisfy those needs. State this in your introduction and then show it in the body of your letter. Show it by including brief examples of your achievements. Try to keep the letter under 300 words total—i.e., one page. We’ll give you some examples of how we do it down below! Every resume should have its own objective, since every resume should be uniquely customized for each individual application. However, the objective statement is no longer as important on resumes as it used to be. Job postings are pretty specific about what the objective is, so if you’re applying for that job it’s assumed your objective is the same. In a chronologically-formatted resume, the objective statement can seem redundant. That’s why many applicants instead just include an executive summary statement. It simply states who you are and what you’ve accomplished in the past. In one line or two, it sums up your abilities and indicates your potential. On the other hand, if you are attempting to break into a new field, crafting a resume using the functional format may be your best bet in drawing attention to your set of skills. In this case, an objective statement may be appropriate as it aligns with and helps to explain your transition. Qualifications will come in the form of education achievements (degrees, titles or certificates earned) and work experience. Depending on how the resume is formatted (chronologically vs. functionally), the qualifications will either be listed in the order that they were achieved, or they will be listed in order of importance. Qualifications may be listed chronologically in a resume when one’s work history correlates nicely with the job for which the resume is presented. Qualifications may be listed by order of importance (functionally) when one is looking for a change of career and wants to show up front what one is capable of doing. If an applicant has a good mix of useful skills and relevant work experience, qualifications may be presented in either format. Useful Trick #1: If you have gaps in your employment history, try a simple change of format in your resume to disguise this fact. In other words, don’t focus on a chronological history of your qualifications but rather on functionality. List your highest degrees first. If you have earned a Bachelor’s and an Associate’s, place the Bachelor’s at the top of the list—even if you earned it before you went on to earn the Associate’s. You always want the employer to see your highest level of educational qualification first. If you have no college degree, it is appropriate to include your high school graduation information. Otherwise, this information is irrelevant in the face of your higher education accomplishments. GPA is not essential to report unless it is exceptionally high—as in 3.5+—and you are a recent graduate with little work experience. Otherwise, it is irrelevant as an indicator, especially if you have been out of school for several years. Tip #2: Education should not be given priority over workplace experience and skills—but it is important to know; so even if you have earned some college credits but have not yet graduated, you may state the number of credits you have earned towards your degree to let your employer know that you have been pursuing an education. Honors and awards may be listed if they are significant. Just remember: employers want to see how your accomplishments are relevant to the job for which you’re applying. So boasting about honors and awards but failing to show how your academic achievements translate into real-world work experience or accomplishments will not go far in landing you the job you desire! Highlight relevant courses if they are pertinent to the job. For example, if you’re applying for a position in a firm that has offices in Germany, you might like to add to your resume the fact that you took 2 years of German in college. You don’t have to pretend to be fluent—but showing that you have this academic experience will make you stand out. When it comes to landing the job, experience is what counts. So even if you lack significant work experience in any official capacity, play up the experience you do have—such as internships, time logged on your own when you engaged in developing relevant skills, volunteer activity—anything you can think of that helps show you haven’t been sitting on a shelf collecting dust for the past 20 years of your life. If you have no experiences—get out there and gain some. Play up your skills. One way to do that is to know what the employer is looking for and then go out and learn not only the main skill but also any supporting skills that would facilitate the organization. For example, computer skills are typically in high demand—so be specific about which ones you possess. Don’t be vague! This is where you can show your human side. List some of your hobbies. Useful Trick #2: If you have no interests beyond work, try Googling “interesting hobbies,” and giving some of them a go. Even if you don’t pick them up long term, you can at least include a few on your resume so that you come across as a warm-blooded, fully-functioning individual. If you have previous work experience, employers assume you will have references. Therefore, it is unnecessary to state on your resume that references will be given upon request. It is also unnecessary to list references on your resume. If they are requested during the application process, you may give them at the appropriate time and at the appropriate place. That said, some recruiters like to see that you have references beforehand—so this one can be a toss-up. If you want to include them, go for it. If you don’t, or have a referral letter that you might like to offer later, hold back and wait for them to come to you. 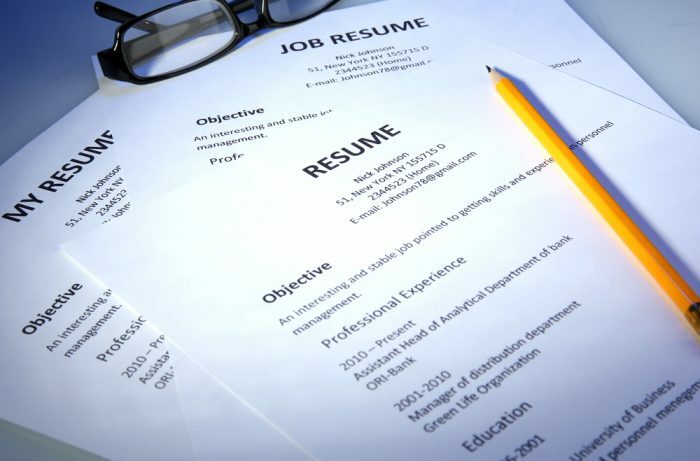 When writing the resume, start with a simple outline first. Look back on your career or education and make a list of the things you’re really good at. Identify the skills that make you somebody worth having around. Don’t even consider whether they’ll apply to the job you’re seeking—just get a sense of who you are and what you have to offer. Take some time and make the list long and thorough. Hold nothing back. See how many pages you can come up with. Once you’re finished, take a separate sheet and write down the job you’re applying for. Write down everything you know about the job—what it entails, what skills are needed, what’s required, what a person needs to know to be qualified. Now go back to your first list: your skills and experience. Look at it anew. See which qualifications stand out that can be useful in applying for the new position. Don’t be afraid to get creative. Just because a skill might not bear a direct connection to the job, you may be able to explain how or why it actually does apply. If you can do that, drop it into your resume with that clear-eyed explanation. For example, let’s say you have a degree in Journalism but now you want to get into finance. You’re really good at research—so make a note of your research experience and how it can translate into a good quality to have in the finance industry. After all, whether a trading firm takes a macro or micro position towards equities, someone has to uncover the facts that help to explain market movements. As a journalist, you’d come with gobs of experience in uncovering facts, and that’s something positive that you could bring. Remember: keep the resume to a page in length—so don’t spend a lot of time offering up too many details or explanations. You can add that to your CV. The resume should be mainly lit up by bullet points that get right to the heart of why you’re the perfect candidate for a position. In conclusion, how to write a resume is simple: take some time considering the position you’re applying for and what the employer is likely to want to see in a good candidate. Identify this essence, then find it within yourself and illustrate that in your resume. Every resume should be tailor-made to fit the job. If it isn’t, it’s just another generic, mindless, autopilot piece of script that no recruiter or employer is going to spend more than a few seconds looking at. They know what they want—and they want to see that you have taken the time to think about it and are willing to present yourself in the manner that will appeal to them. You’re like a suitor, and your resume is like your bouquet of flowers. If you show up with lilies when your potential employer is expecting roses, you’re not likely to get past the front door. Find out a little about what the job entails. Talk to others in the industry. Develop a sense of what bosses in the field want from their employees. Then show that you have what it takes in your resume! 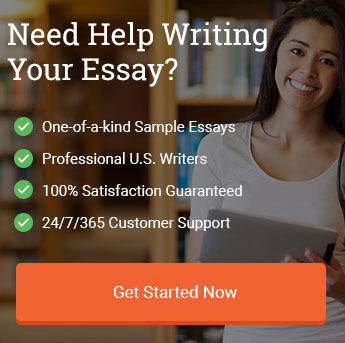 And—if you need help—we’re here to show you way [link to resume writing service order form]. "How to Write a Resume (2019 Guide)." Aceyourpaper.com. Student Network Resources Inc, 15 January. 2019. Web. 19 April 2019. Student Network Resources Inc. "How to Write a Resume (2019 Guide)." Aceyourpaper.com. https://www.aceyourpaper.com/resume-writing/how-to-write-a-resume/ (accessed April 19, 2019).